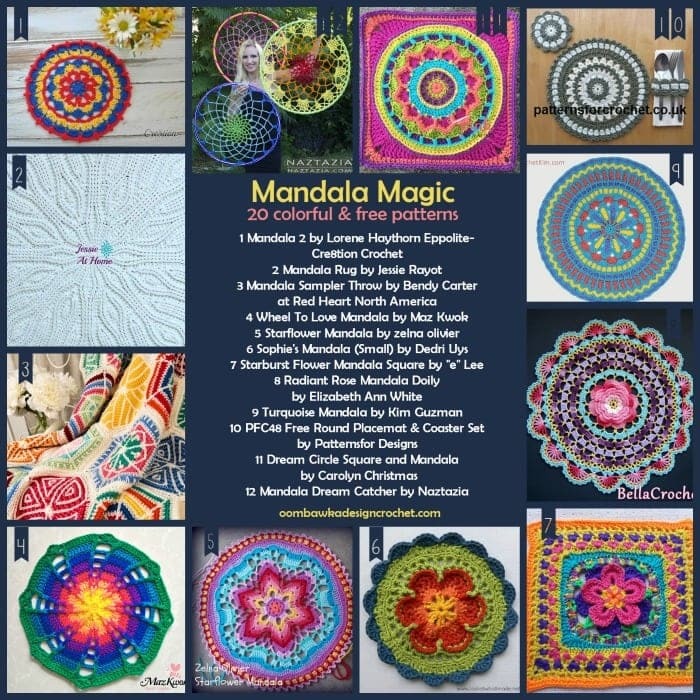 Mandala Magic – you will find many colorful free crochet patterns for mandalas in this collection! Did you know Mandalas make GREAT stash buster projects?? Follow Me On Pinterest for Great Crochet Project Ideas! I love the assortment of Mandala patterns. I have been wanting to try this.